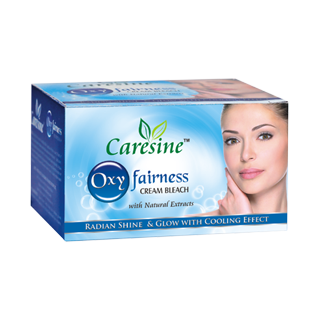 Active Oxygen Rich,Mili Capsules Based Cream Bleach For Healthy & Glowing Skin.Ideal For Dull,Old & Sagging Skin. Comes With A Pre Cream Bleach To Give Advanced Bleaching. 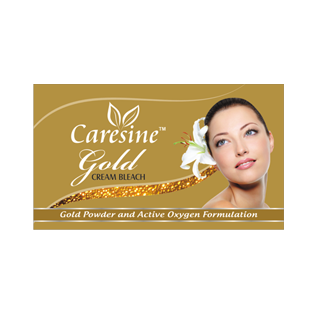 It Delivers Much Needed Oxygen To Skin, Therepy Ensuring a Skin That Breathes Freshness & Confidance. Available in 43, 250, 500 gm. Available in 43, 290 gm. 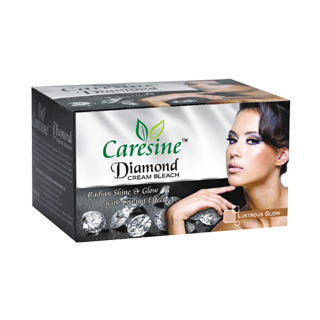 A Careful Selection of Fruit Extracts Which Ensures Maximum Potency To Your Bleaching Routine. 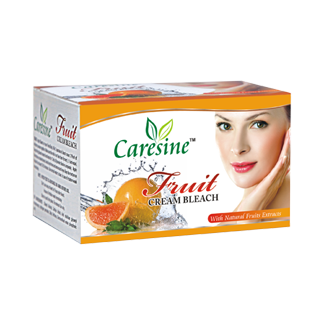 Caresine Fruit Bleach, Your Fruitolicious Choice For Natural Bleaching. Available in 43, 290 gm. Available in 43, 290 gm.